Multi-disciplinary coverage protects you when practicing as an occupational therapist assistant OR a physiotherapist assistant. More coverage for same low price! 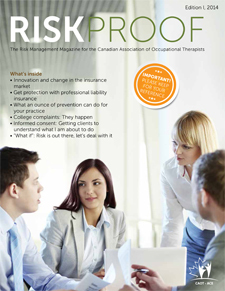 OTA/PTA coverage now includes $6,000,000 in professional liability insurance (not $5M) for only $59 per year. New for 2017-18 – Automatic seven- year extended reporting period for members discontinuing practice or retiring.